Immediately after tip-off the tone was set for the first quarter by the Lady Cats. Harpeth moves past Greenbrier 52-23, advances to next round. 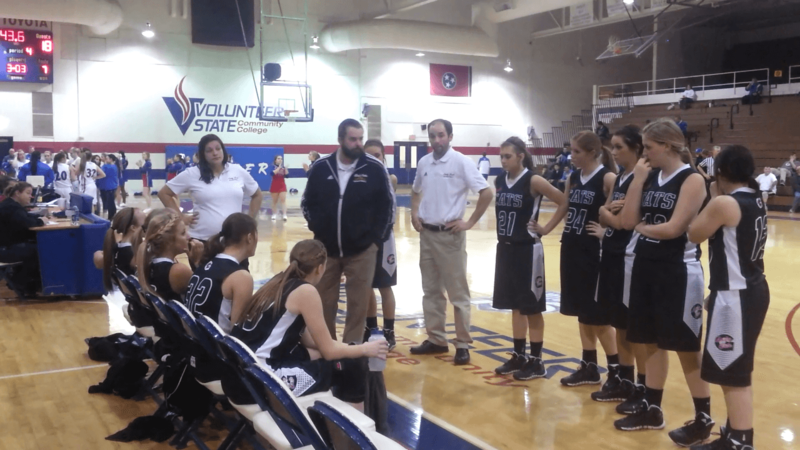 The 2014 District 9-AA Tournament kicked off Wednesday night at the Pickel Field House arena at the Volunteer State Community College in Gallatin, Tenn. Coach Carl Miller and the Greenbrier Lady Cats faced-off against Coach Jimmy Mitchell and the Harpeth Lady Indians. 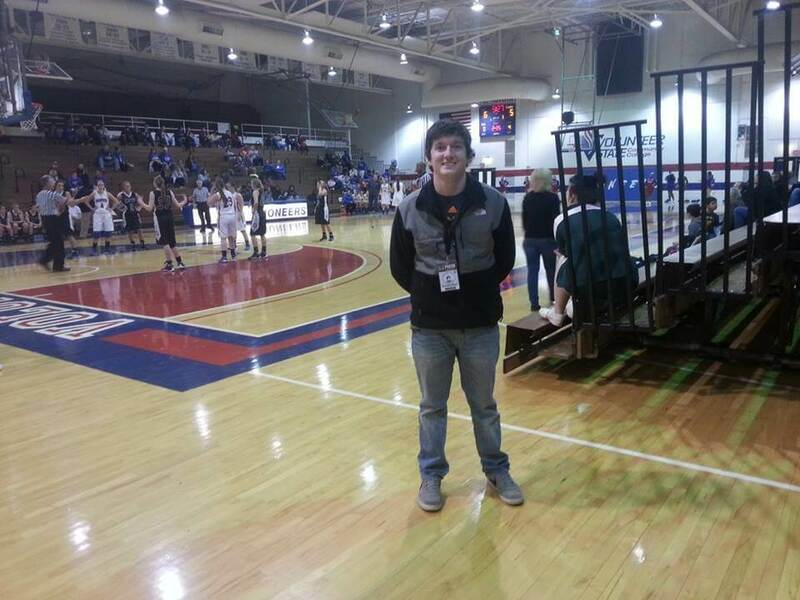 The exciting district tournament atmosphere was filling the arena. The fans showed they were ready to watch the game as they cheered in support for their team! As the game unfolded, the Harpeth fans were able to cheer more in the end as the Lady Indians prevailed over the Lady Cats 52-23. Immediately after tip-off the tone was set for the first quarter by the Lady Cats. Kassie Carroll went down court and nailed a 3 pointer giving the Lady Cats a quick 3-0 lead. However, the Lady Indians responded by going an 11 to 3 run to close out the first quarter with an 11-5 lead with Taylor Gracia leading the way with six points. The second quarter was truly an even quarter. The Lady Cats and the Lady Indians tallied up 19 points combined, which was almost split equally with Harpeth having 10 and Greenbrier 9. Savannah Butler led the Lady Cats with three points, but also had help from Candice Parks, Kayla Jarrell, and Kristen Adams who all had two points each. Addison Moulton and Olivia Miniat carried Harpeth through this evenly played quarter with three points each and gave their team a 21-14 lead going into halftime. 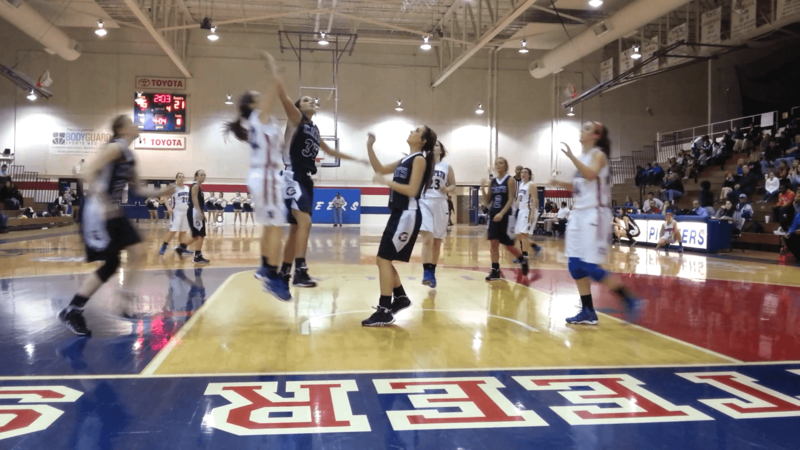 A team’s ability to have scoring runs can be huge factors in deciding basketball games. It helps teams build momentum and helps bring out emotion from players and at times can increase a team’s play. Going into the third quarter, Greenbrier needed to have one of those runs to help boost them enough to get a lead over the Harpeth, it never came. Coach Carl Miller and the Greenbrier Lady Cats couldn’t outscore the hot handed Harpeth Lady Indians. Harpeth had its highest scoring quarter of the game with 20 points. Taylor Gracia had 11 of those 20 points. 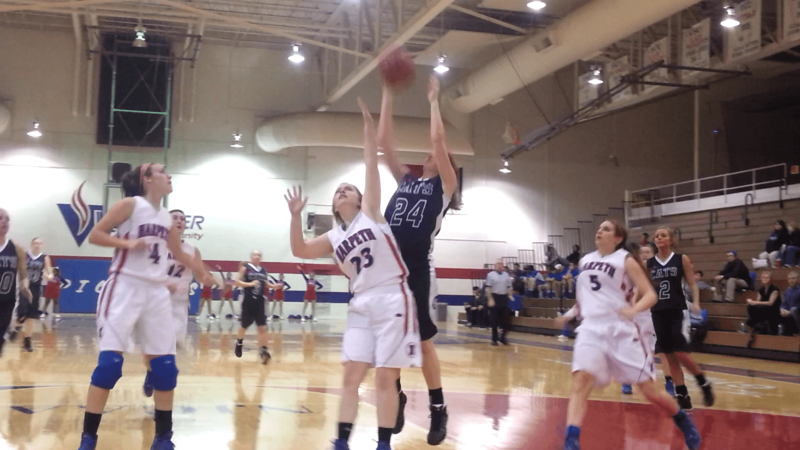 Harpeth had a 41-18 lead at the end of the third quarter. Whether a team is winning by 50 or losing by 50, it takes heart for players to go out and play a game to the very end. The Greenbrier Lady Cats showed just that, they didn’t give up, they played their hardest to the last whistle but the ball just didn’t bounce their way tonight. 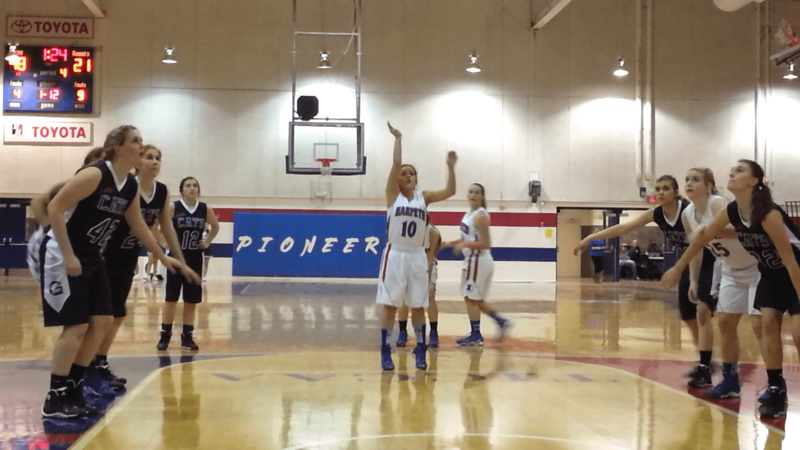 The Harpeth Lady Indians went on to win the game 52-23 and ended this year’s season for the Lady Cats. Taylor Gracia scored an impressive 23 points and looks to continue to have the hot hand as Harpeth advances to the next round of the tournament to face off on February 15th against the winner of the Westmoreland and White House game on the 13th. No.00 Kassie Carroll, 7 points. No.2 Savannah Butler, 6 points. No. 32 Candice Parks, 4 points. No.33 Kayla Jarrell, 4 points. No.35 Kristen Adams, 2 points. No.1 Kyleigh Ivey, 2 points. No.4 Savannah Hudson, 4 points. No.5 Olivia Miniat, 7 points. No.12 Haley Tolle, 4 points. No.20 Jordan Gracia, 2 points. No.21 Taylor Gracia, 23 points. No.32 Kailynn Beshears, 4 points. No.33 Addison Moulton, 4 points. No.40 Dashia Brandon, 2 points.